Upgrades – TEKHELPER – Managing your technology so you can take care of business! 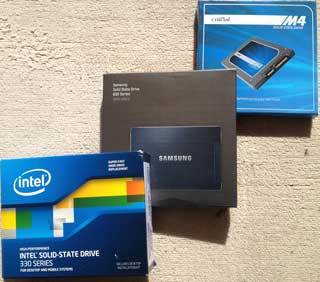 The last few months have seen a substantial drop in the prices of Solid State Drives. One of the most cost-effective performance upgrades you can perform on an older computer – desktop, laptop, netbook, (Windows, Mac or Linux does not matter) is upgrading the existing hard drive to a newer solid state model. We also recommend upgrading the memory to the maximum supported by the motherboard. Before proceeding though, do make sure that your specific make and model of computer supports the drive you plan to purchase as most drives are not returnable unless defective. To keep the spending down, you may want to purchase a smaller SSD and install a fresh copy of your Operating System and Applications on the SSD, keeping your Data on the Existing Hard Drive. Most SSD manufacturers offer bare drives as well as kits that contain a USB cable, mounting adapters and software to clone your existing hard drive to the new SSD. Three of the top drives on the market now with a high reputation for both performance and reliability are the Crucial M4, Intel 330 and Samsung 830 series of 6Gbps SATAIII drives. In evaluating the best solution for our clients we decided to go with the vendor reliability ratings rather than outright performance, and therefore decided to put the drives to the test ourselves on our very own test rig. 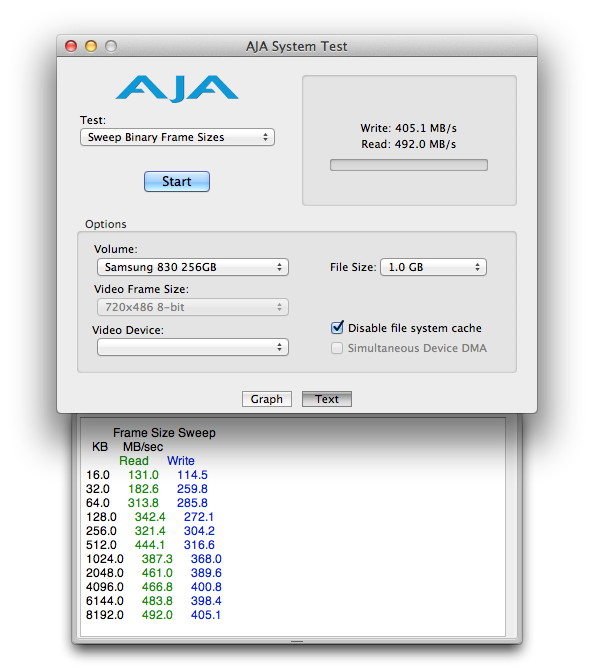 We cloned the three drives with an identical data set – OSX 10.8 Mountain Lion and some Applications and hooked them up as the primary drive to an Ivy Bridge Core i7 Mid-2012 MacBook Pro to see how they would compare. Here are the manufacturer’s claims taken directly from their respective websites. We deliberately avoided listing their IOPS (Input Output Operations per Second) figures, simply because each of the three manufacturers’ rate their drives at different file sizes and so listing it would be an apples to oranges comparison that would be very confusing. The screenshots below are just some of the tests we conducted with the free AJA System Test using the Sweep Binary Frame Size test using a 1GB file with frame sizes of 16KB, 32KB, 64KB, 128KB, 256KB, 512KN, 1MB, 2MB, 4MB, 6MB and 8 MB. File System Caching was disabled. You can see that the performance of of the 500 GB 7200RPM HDD with a 16MB buffer is’nt too shabby but gets smoked by all of the SSD’s. 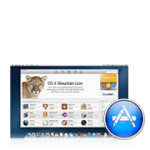 Apple’s newest Operating System – OS X Mountain Lion 10.8, is now available to the general public from the App Store. Anyone purchasing a new Mac will most likely have it pre-installed. For those of us running an older Mac, there a few considerations to keep in mind. 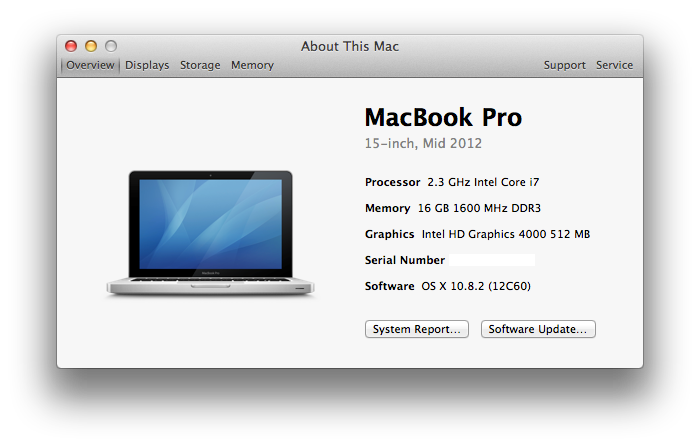 Is my Mac compatible and what are the system requirements? As always MAKE A COMPLETE BACKUP of your Mac before proceeding just in case unexpected things happen and you need to rollback. We recommend Carbon Copy Cloner, as it’s easy to use and simply works. Happy Upgrading !